Out with the new, in with the old? 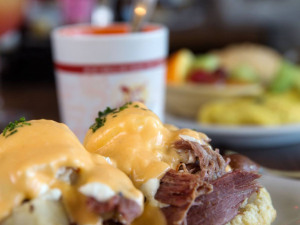 … The Ruby Slipper, a local breakfast hot spot that has expanded to four locations around town and two others in Pensacola and Orange Beach, announced its fifth location in the Crescent City. Mere days after Brick & Spoon reported that they were moving out of their brand new building on Magazine Street, The Ruby Slipper revealed that they were moving in. The latest location should be open sometime this month, serving all the breakfast items fans know and love like Eggs Cochon Benedict with apple-braised pork debris or their Bananas Foster Pain Perdu. 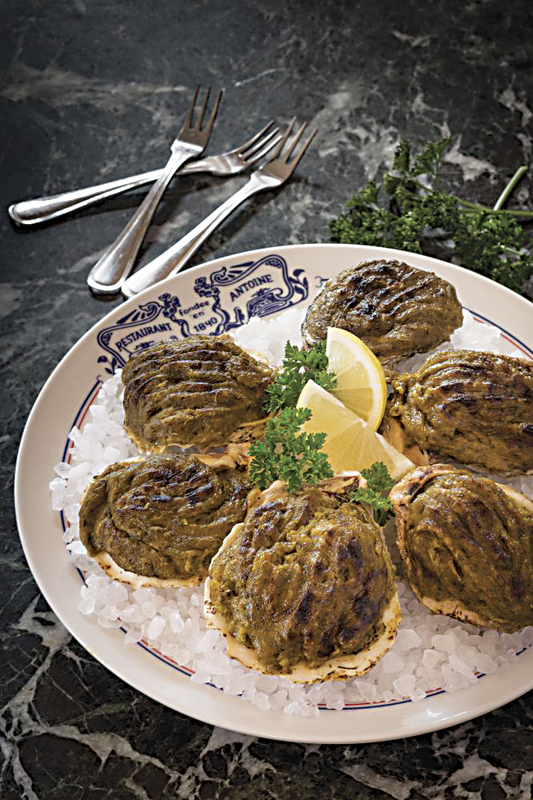 Memorializing mollusks … Antoine's, the oldest family-owned, continually-operating restaurant in the country, announced that their signature dish, Oysters Rockefeller, will now have its own commemorative day. Granted by the National Day Calendar, National Oysters Rockefeller Day will be officially recognized on January 10 beginning in 2017. Invented in 1899 by Jules Alciatore, the son of Antoine's founder, Oysters Rockefeller is a dish created as a response to the shortage of snails shipped in from Europe at the end of the 19th century. Jules's dish was so succulent and so rich that he named it after one of the wealthiest men in America. New Westbank pasticceria! … Just over a month ago, Amore Bakery & Cafe opened its doors in downtown Gretna. Located about a block from Gattuso's, Amore features an array of delectable pastries, crepes and gelato plus specialty coffee drinks brewed from Coast Roast. 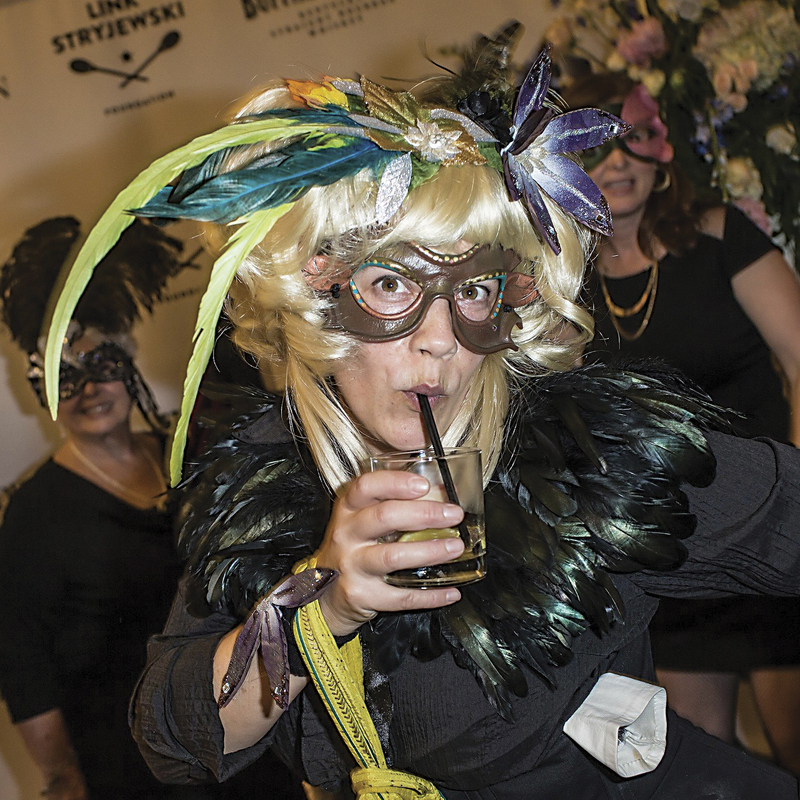 According to Nola.com, Pastry Chef Sage Spicuzza runs the shop with her mother Bonnie Pecot and sister Calli Boullosa. Spicuzza graduated from Delgado's culinary program and has worked in the Hotel Monteleone and Angelo Brocato's, which is where they source their ices and gelato. Speaking of the Westbank … Legacy Kitchen just opened its third restaurant in town on the Westbank Expressway in Gretna, dubbed Legacy Kitchen Steak + Chop. Culinary Director Robert Bruce manages all the menus for Legacy and has offered yet another different slant for the Westbank steakhouse. 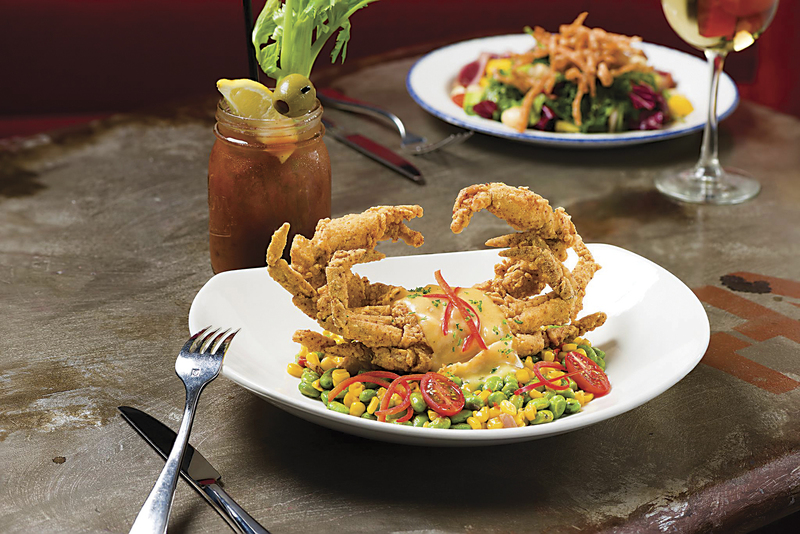 Dishes include Cajun Queso made with tasso, Chinatown Firecracker Shrimp with yum-yum sauce, a Tuna Tango salad with avocado, mango and macadamia nuts, or an Iowa Pork Porterhouse with crawfish skillet cornbread and LA pepper jelly. Say cheese! … Though it took far longer than originally anticipated, the new grilled cheese sandwich shop Melt finally opened in Mid-City. Located on Banks Street, less than two blocks from its competitor The Big Cheezy on Broad, Melt is a collusion between friends Miles Tully Jr. and Greg Hicks. Their special sandwiches include a Melt-a-Letta, a Caprese Melt, and Kush's Melt with crab-boiled shrimp and pimento cheese. 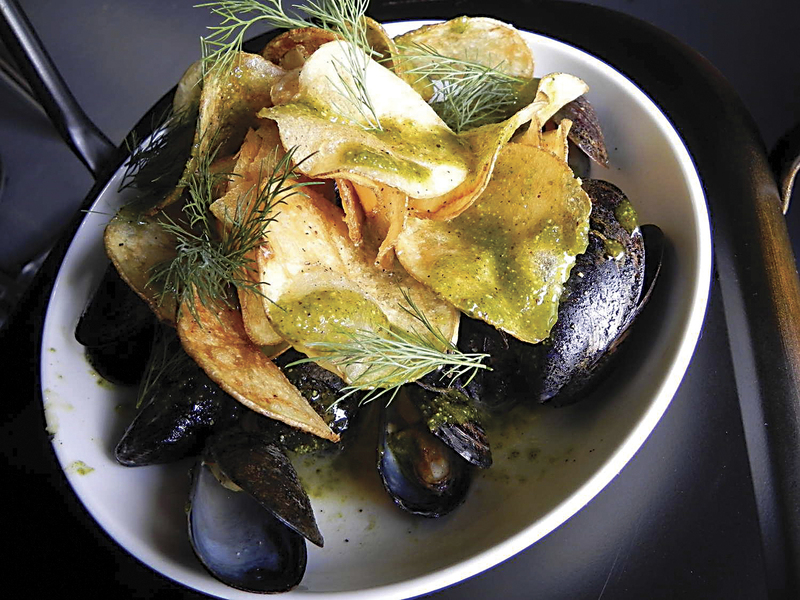 Though grilled cheese sandwiches seem to be the focus, the menu also features tempura battered and fried Wisconsin cheese curds, beer cheese soup, a Shrimp Cobb salad, and a well-stocked bar featuring local craft beers and a small variety of wines. Melt is open Monday through Friday from 11 a.m. to 7 p.m.
That's the place ... Tracy Kish and Samantha Saliter, owners of the Crepe Cart in the French Market, have finally fleshed out their own digs on Poland Avenue in the Bywater. Dubbed The Crepe Place, the new restaurant offers both sweet and savory crepes, plus they even have vegan and gluten free options. Try their bacon and cheddar crepe or ham, egg and cheese, or go peanut butter and bananas with a hot cuppa joe brewed from French Truck Coffee. The Crepe Place is open daily from 7 a.m. to 8 p.m.
Inspiring lunch … The recently opened Three Muses Maple in the Riverbend is now serving lunch Tuesday through Friday. The Uptown music club has decided to launch a menu featuring a Korean-themed lunch, inspired by singer/owner Sophie Lee's “Seoul Shack” pop-up, with dishes like kimchi pork soup, scallion pancakes and bibimbap.